It has been a while since we’ve posted anything, so we want to let everyone know that the comprehensive plan update has continued to move forward over the past few months. Over the coming weeks, Town Staff and the project’s consultants will be working hard to finalize a draft of the updated comprehensive plan to be presented to the Planning Commission for an initial review. The length and results of that review will determine how the project moves forward from there. Please know that we are all anxious to present a plan that is built upon the great feedback that you have provided over the past year. If you have any questions or comments, please don’t hesitate to contact Community Development at 540-338-2304 or post to the Town of Purcellville Facebook page. More to come soon! As you spend time with family and friends this Thanksgiving, we hope that you will consider talking about Purcellville’s future with them. Thanksgiving is a perfect time to take stock of your desires for the community, and you can let us know your thoughts on a range of issues by completing the Focusing on the Details survey. It’s a perfect activity to complete during the halftime of a Thanksgiving Day football game! The public input received over the course of the past year has revealed a number of general desires for the Town’s future, but as we approach the end of the public engagement process, we are interested in receiving very specific feedback from the community–it is time to focus on the details. The attendees of the November 5th workshops got us off to a great start, and now the Focusing on the Details survey poses the questions presented at the workshops to the entire community. Please complete the survey before it closes on November 30th because we want to hear from you! This survey is designed to help us determine how to define the parameters of the public’s desires and how best to achieve them. It does so by asking specific questions covering five topics: (1) Community Character & Design, (2) Economic Development, (3) Parks, Recreation & the Environment, (4) Public Services & Infrastructure, and (5) Land Use. The community’s responses to these questions will help to determine the final content of the updated comprehensive plan. We want to thank everyone that attended the workshops this past Saturday at Town Hall. You gave up part of a beautiful fall day to help us plan for Purcellville’s future, and we appreciate it. We also greatly appreciate the help of our volunteer facilitators. In addition to the six Planning Commissioners that served as facilitators, we were lucky to have additional help provided by members of the Town Council (Mayor Kwasi Fraser & Councilman Ryan Cool), Board of Architectural Review (Chairman Pat Giglio & Mark Ippoliti), Economic Development Advisory Committee (Christie Morgan & Sarah Stratton), and Parks and Recreation Advisory Board (Vice Chairman Russ Forno and staff liaison Melanie Scoggins). Over 30 people attended the workshops, and we had some lively conversations that delved into the details of how we can create a comprehensive plan that best achieves the desires of Purcellville’s citizens and neighbors. You can see much of the feedback received last Saturday in the photo gallery below. Finally, our facilitators also received extremely positive feedback from the attendees about the design of the workshops, and numerous people said that they enjoyed these workshops more than any of our previous events about the comprehensive plan. Before everyone gets busy with the (quickly approaching) holiday season, we hope you can find time to attend one of the upcoming workshops on November 5th. Each two hour session will offer you an opportunity to provide comments on various topics and questions that will help determine the final content of the updated comprehensive plan. These workshops will be our last community events for 2016, and they will be your last opportunity to provide input before we start drafting the updated comprehensive plan at the end of the year. Our fourth phase of the update process has begun, and we want to offer a big thank you to everyone that came out to our workshops at the Carver Center this weekend! Over 30 people attended, and we have started receiving good feedback on how to proceed in drafting the updated comprehensive plan for the Town of Purcellville. Please don’t forget that we’re also holding another workshop this Thursday evening (September 29) at 7:00PM in Town Hall. We hope that you can join us. Even if you can’t attend a workshop in person, we’ve just posted the presentation and public input exercise from the workshops on the new Evaluating the Vision page. This exercise presents a Vision Statement and six Statements of Intent that were created by the Planning Commission in response to the community’s previous input, and we want you to tell us how well each statement expresses your desires for Purcellville’s future. We look forward to receiving your feedback! #1 – 10:00 A.M. to 12:00 P.M.
#2 – 2:00 P.M. to 4:00 P.M.
Each two hour session will begin with an informational presentation about the current status of the update process including summaries of the public input received during the three previous rounds of public engagement. Following the presentation, attendees will have an opportunity to respond to posted questions that will provide further guidance for the Planning Commission’s ongoing work on updating the comprehensive plan. 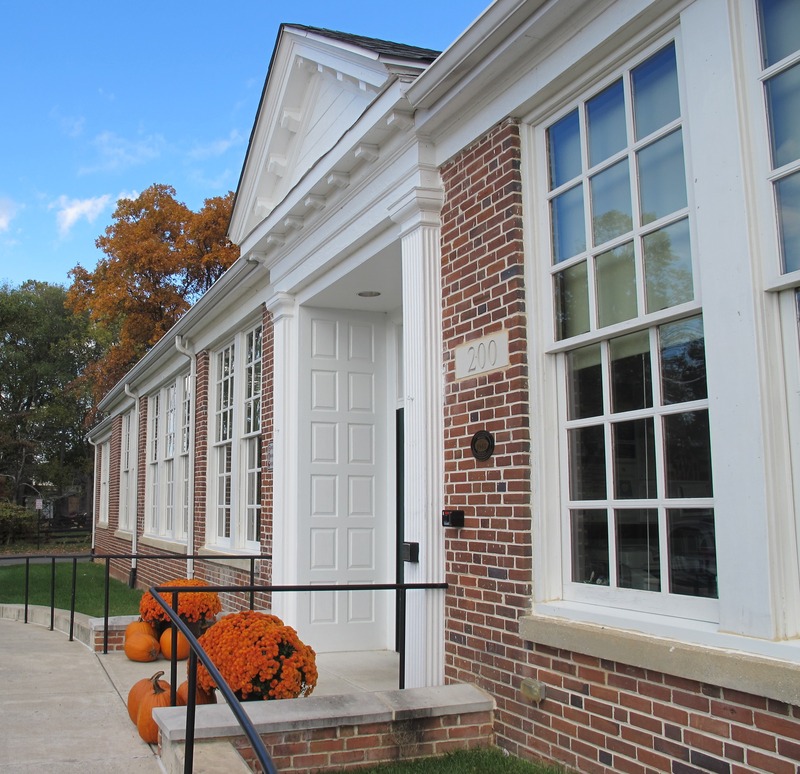 A similar presentation on the status of the update process will take place during the Town Council meeting on Tuesday, September 13 at 7:00 PM in Town Hall; however, there will be no direct public input opportunity until the first workshop.